A true luxe beach resort on the paradise island of Boracay, Philippines. This 5-star resort offers unbeatable luxury with rooms, suites and villas complete with hot tubs, private pools and an amazing butler service. Two incredible white beaches with some of the finest sand in the world. 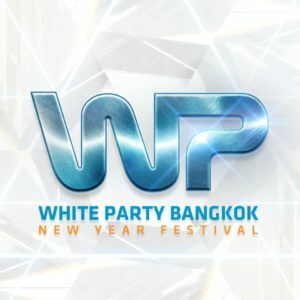 Asia’s largest gay New Year Festival, WHITE PARTY BANGKOK is returning with 4 massive parties spanning 3 days. After a hugely successful first year, WHITE PARTY organizers are gearing up to deliver an extraordinary New Year’s circuit event that you don’t want to miss it. WHITE PARTY BANGKOK will attract party goers from across Asia and around the world! EUROPEAN SNOW PRIDE Powered by SCRUFF is Europe’s biggest gay ski week. It will take place in the world-class, snow sure and gay-friendly resort of Tignes, in the French Alps. From the 18th to the 25th March 2017. Gay Ski Weeks combine the party elements of a circuit party with extreme sports in some of the world’s most beautiful mountain locations. An Instagram inspiration who cannot live without travelling and do a handstand. A digital nomad traveling indefinitely, currently in Asia. A true life enjoyer and talented photographer from Slovakia.